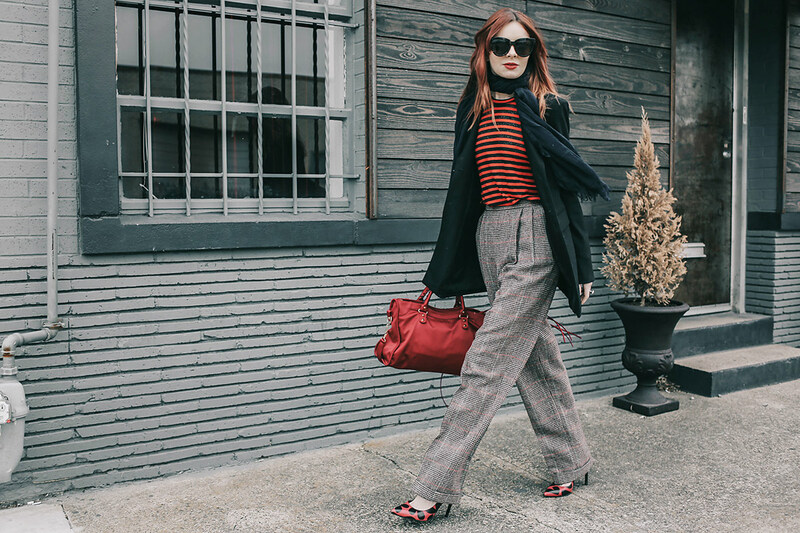 I snagged these gorgeous Ralph Lauren trousers for under $20 recently and have been thinking of different ways to style them. They have such a great Katharine Hepburn-esque silhouette, the possibilities are endless. I definitely see wearing them with a rock tee and white pumps in the near future but for today, a jazzy red striped tee and blazer will do just fine. 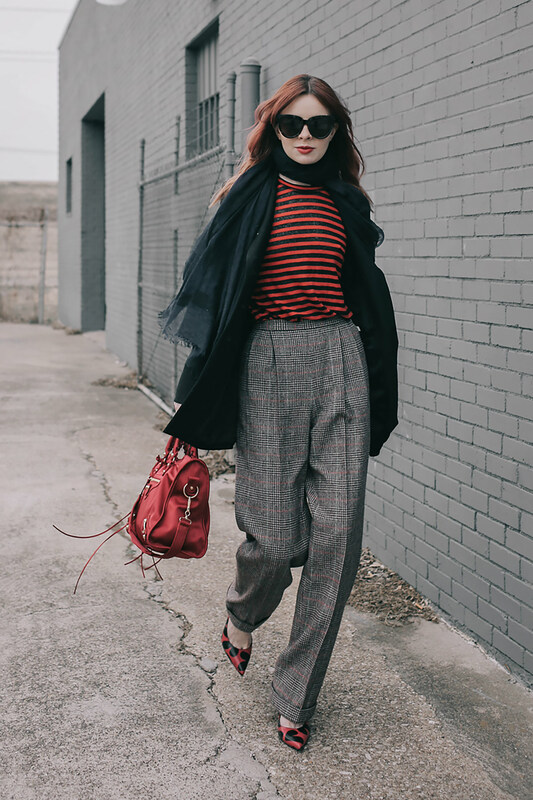 Wearing vintage Ralph Lauren trousers with a & Other Stories striped tee, blazer by the Row, navy scarf by Pas de Calais, Balenciaga bag, Le Specs sunglasses, and YSL pumps. I love the way you styled these! I love all of the pops of red! 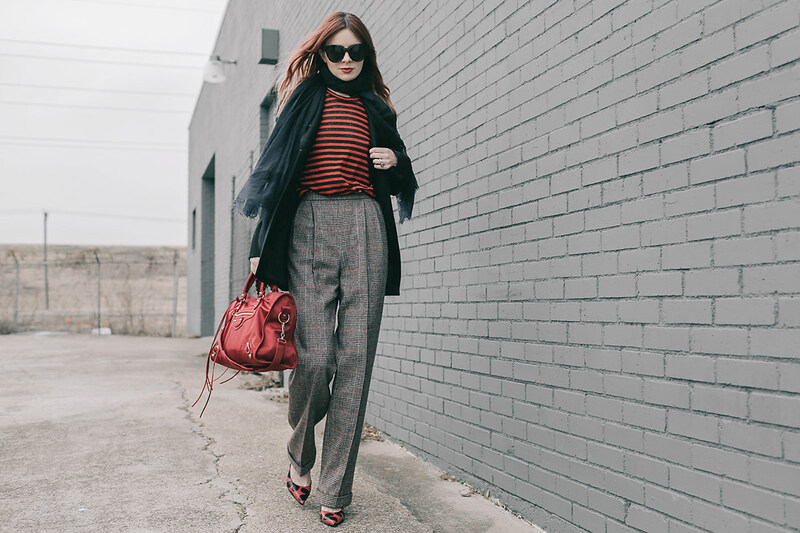 I love the tailored look and the red accessories! Fabulous trousers , I definitely pick up on the Hepburn vibe , great with a crisp white shirt some signature mules , done . Those trousers look fantastic! Love this look. This style is so perfect! Couldnt ask for anything more, the shoes mach the bag and shirt and it all just mixes up with the color and looks so perfect. Beautiful styling! Love the bag!